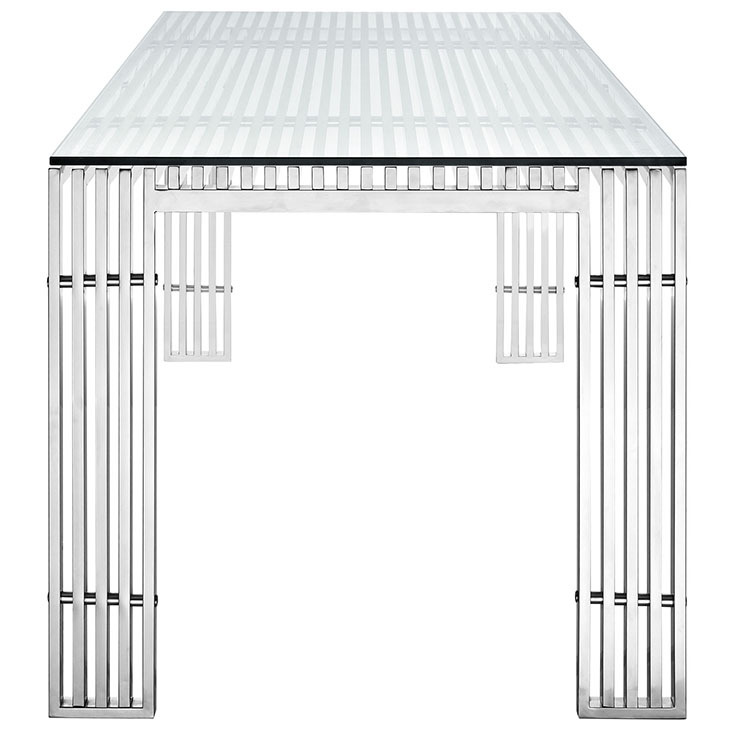 The conduit design of this Gridiron series installment artfully blends stainless steel tubing with a tempered glass table top. Modernism used to be about extremes. Wild shapes and patterns that don’t dare resemble its predecessors. We’ve reached an age of maturity of sorts. We appreciate style, but all the more, we respect those designs that represent a blending of cultures. 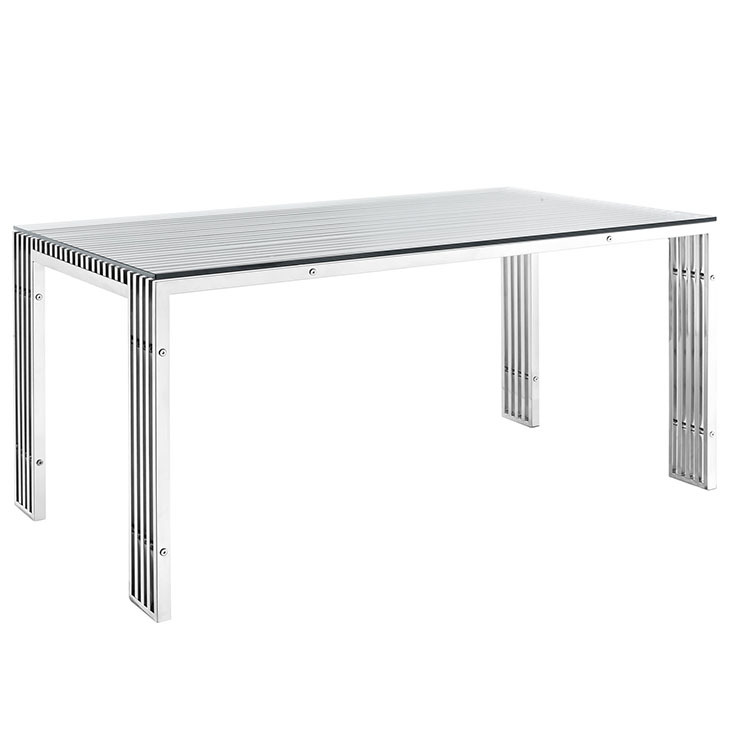 The Gridiron stainless steel dining table is famous not for its radical shape, but for the strategic transcendence that it provides.